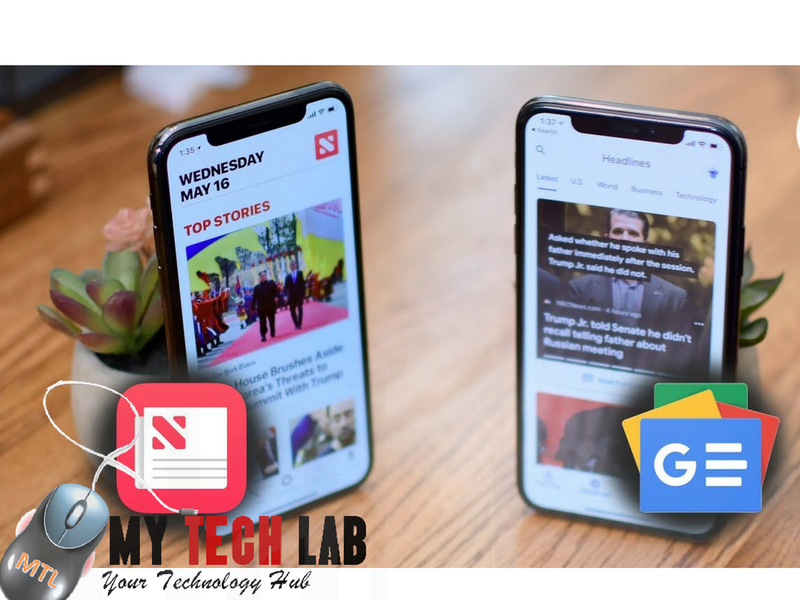 Hey everyone in this article we go Hands-On With the all new Google News app which is now available for iOS and Android and compare it to Apple. 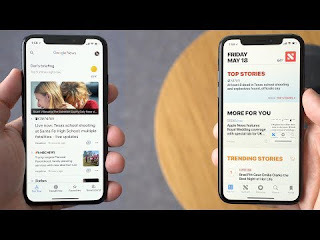 Starting off with the new Google News application you'll find the layout to be pretty similar to Apple news at the bottom you have four different tabs or sections. There's the four you tab headlines favorites and newsstand the four U.S. is pretty self-explanatory. It's all of the news that you either subscribe to or using your friends in history. What Google thinks you might want to read what I like about this section is at the top you have your briefing which are the top five stories happening right now but they aren't all national headlines. You'll even see some local newspapers or publications listed there too. Overall the four U.S. is exactly what you think it is. It's news for you that Google thinks you would want to read headlines is basically everything else. Tons of articles on what's happening right now what's going on in the United States the world in business technology et cetera. It's a pretty standard section for a news app. Before we go any further however you might have noticed some auto playing videos with text that says view full coverage. This is a new feature that Google talked about at Google IPO. What this does is allow readers to see more about a particular story from many publications and not just one specific news outlet that they might be accustomed to reading the section would contain videos social media posts articles and more. Now I might be in the minority but I really like Twitter moments which aggregates tweets on a specific news topic and places them all in one swappable section where I can learn more about a topic from all points of view. And that's exactly what the full coverage feature reminds me of in the Google News. The favorites tab is where all of your favorite topics sources specific locations or save searches and stories live and the newsstand tab is where you would go to find certain publications to follow or subscribe to. Now if you're a premium member and you pay a monthly subscription fee to a specific news outlet or you're interested in joining one you can actually do all of this within the Google News that once you find a story that you might want to read you might notice that the article looks like it might have been loaded from a mobile site as opposed to Apple News's viewtiful reader like view and everything is tailored to the UI including most articles. This is one thing that I was not the biggest fan of with Google News. The article will also show you the full coverage icon if available in the top right corner as well as the ability to share or save the story for later. 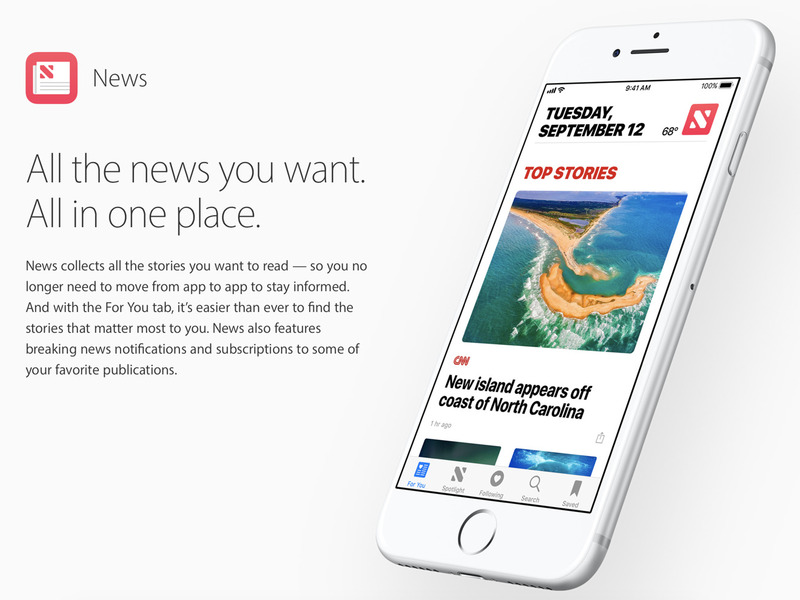 As I mentioned earlier Apple News has a pretty similar application and has a beautiful UI and features a very similar set of options in any navigation bar at the bottom of the app. 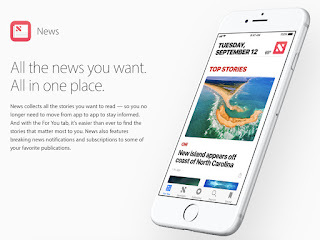 Apple does offer a unique section called Spotlight which is a collection of curated stories by Apple's news team and placed into one location. Overall I'm a pretty big fan of each app. What I've grown to like about Google news is that I feel the news stories update a bit quicker than Apple news. And since it has the resources of the most powerful search engine on earth it's really not that hard for up to date news to be delivered quickly to your devices. This is where in my opinion Apple still has a little bit of work to do. But in terms of fluidity of the UI even though I'm no fan of what Google is trying to do with the app Apple news is obviously much more fluid and just feels a little better right now. Let us know in the comments section down below what you think of Google News or if you're a Google News user and an Apple News user. Which one you might prefer. Lets have your comments below. see you in the next article.